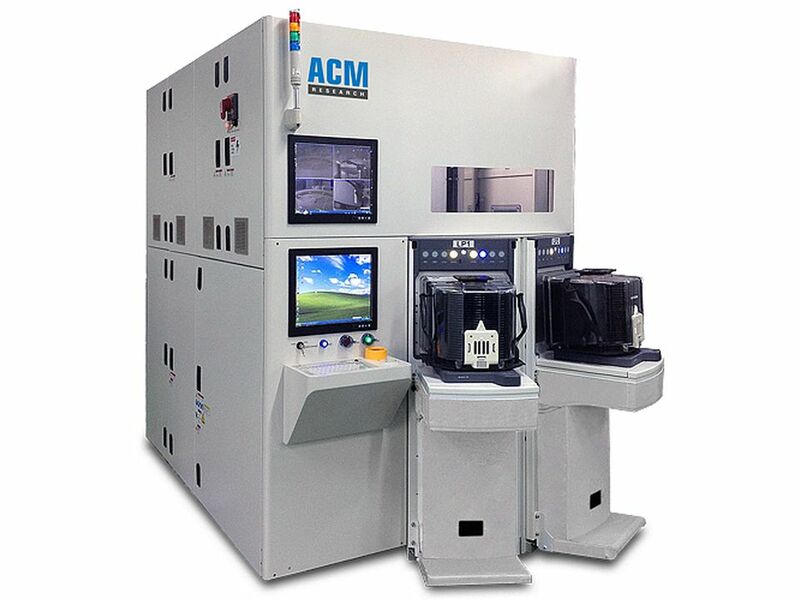 ACM’s scrubber systems are designed to perform one of the most important process functions in IC manufacturing – wafer cleaning. Employing ACM’s state-of-the-art wet-cleaning technology, these tools remove contaminants such as particles, residues and other unwanted surface defects that can cause fatal errors in IC devices. Commonly utilized by IC and wafer level packaging (WLP) manufacturers as well as research institutes, these scrubber systems can be used between virtually any two steps in the wafer manufacturing process. With high Particle Removal Efficiency (PRE), ACM scrubber systems are able to effectively clean particles of all sizes without damaging the wafer — thereby increasing product yield, decreasing costs and increasing profitability. The system features exceptional customizability, ease of use and superior technology. The N2 Spray technology combines nitrogen and the desired cleaning chemical. The use of nitrogen ensures specific velocity of the atomized chemical to more effectively clean out smaller particles. The atomized cleaning chemical is gentler on the wafer structure so as to avoid damage. These scrubber systems can be equipped with our proprietary megasonic technology. ACM’s SAPS technology ensures unprecedented particle removal efficiency (PRE), even with smaller particle sizes, without damaging the 2D flat wafer’s finer patterned structures. The tool is equipped with an N2-spray function, high pressure deionized water cleaning function, as well as Smart Megasonix™, allowing the user to easily change cleaning functions to suit their process requirements. The ACM Scrubber tool contains filter systems that recycle chemicals, which decreases cost and waste. ACM’s state-of-the-art Chemical Temperature Control System ensures that chemicals are always at the precisely correct temperature before being released. This scrubber tool utilizes leading-edge component systems such as high-precision wafer transfer systems, ultra-thin wafer handling capability, and independent control of process environment for each chamber.